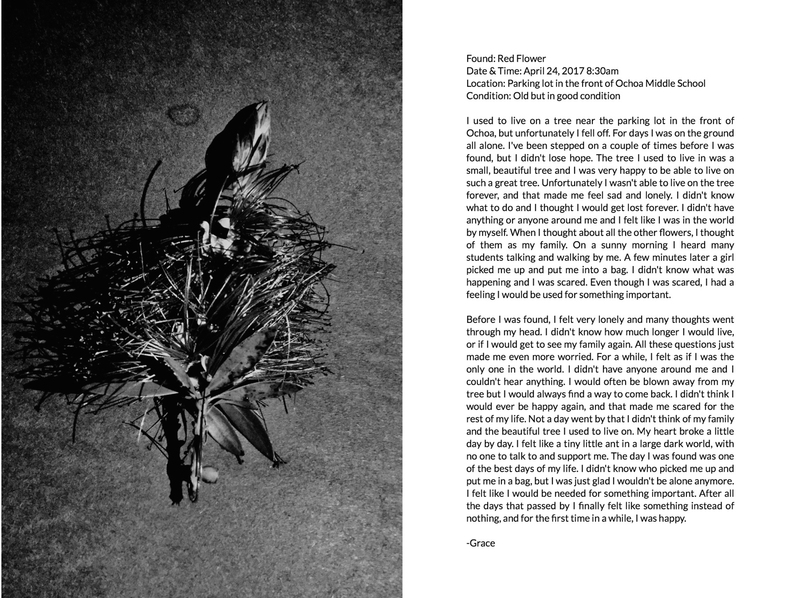 When people look at my found object photo story I want them to feel different emotions. In the beginning of the story, the object explains how life was difficult and how it felt. At the end, the object is found and now has a different perspective of life. It’s happier and that’s what I want people to understand. For my self portrait, one thing I want people to learn about me is who I really am – not who I look like on the outside. I don’t want people to judge me based on what they assume because usually they’re wrong. Things I learned while making this project are different apps and different ways to use an iPad. I also learned that you can make a simple picture look more meaningful by putting filters and editing it.